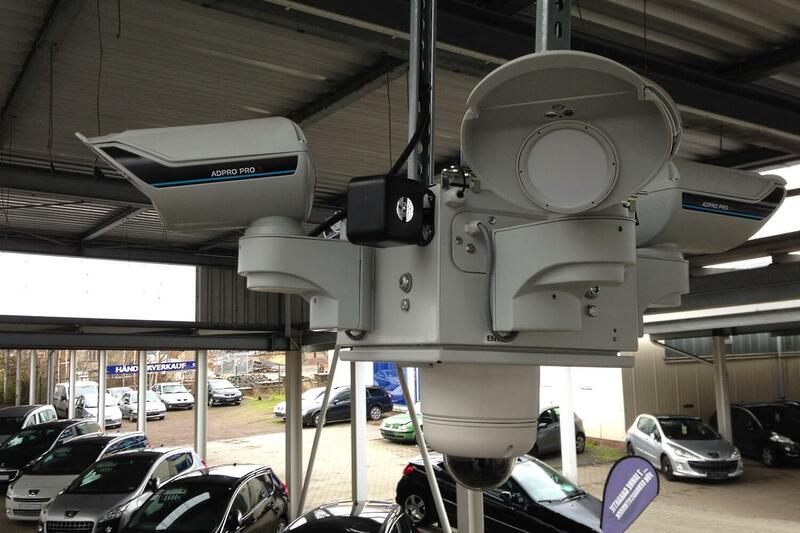 A dependable power supply for surveillance technology is of crucial importance for successful permanent site surveillance and the surveillance of other open spaces. Users of our security solution must be able to rely on it to always be active and ready for use, without it having to be charged at short intervals or permanently connected to an emergency power generator. All WellnerBOXes are equipped with a durable 230V connection cable. This is the simplest option in the case of a permanent on site power supply. Integrated rechargeable batteries with a running time of 30 minutes ensure fail-safe operation, e.g. in the event of repositioning. A secondary option is that we integrate a high-performance battery pack, which has to be charged approximately every 10 days depending on the workload. If the charge level drops to 30%, a notification is sent to the person responsible at an early enough stage. A charge cycle takes about 12 hours to complete. Option three extends the system with solar equipment (4*150 Watt modules) which not only maintains the running operation, but also charges the batteries. In this configuration we guarantee 95% self-sufficiency, only during severe winter months or permanently low solar radiation option 4 must be used. 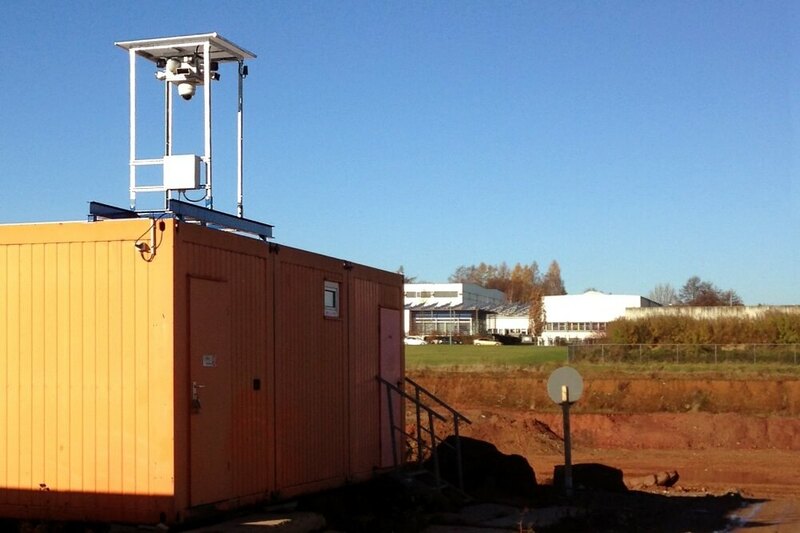 The fully equipped stand-alone WellnerBOX is intended for unrestricted continuous use on annual construction sites. This is made possible by additional methanol fuel cells, which are stored inside the container in a protected and frost-proof place. All energy components are controlled via a central management system. If problems or restrictions arise, our service team will be notified independently. 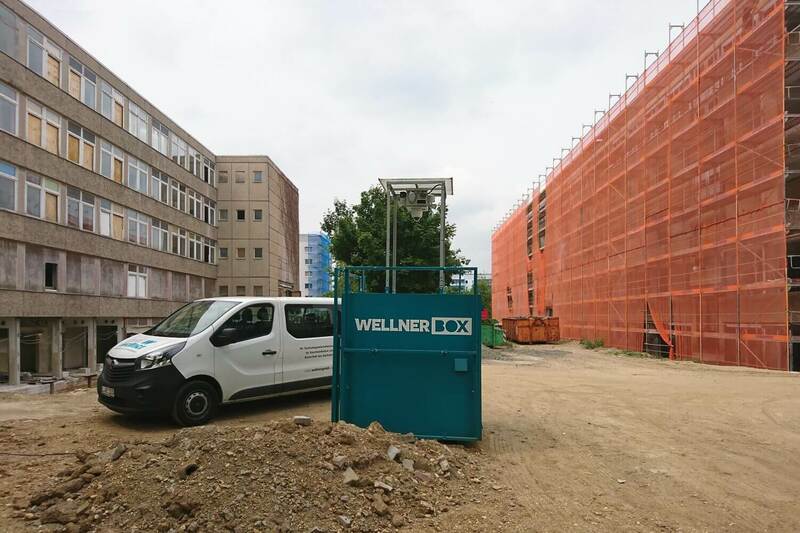 In contrast to the ‘classic’ model, a ‘mobile’ WellnerBOX is not able to use solar panels. The standard equipment is based on high-performance rechargeable batteries; fuel cells can be used as an option. Thus, this WellnerBOX version is perfectly equipped for outdoor mobile video surveillance and also convinces when securing events.